KUCK, VALERIE J. North Jersey Section. (Retired) Bell Laboratories, Lucent Technologies, Murray Hill, New Jersey. 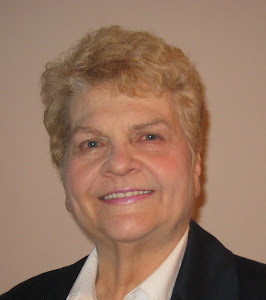 Academic Record: St. Mary of the Woods College, B.S., 1961; Purdue University, M.S., 1965. Honors: Bert Belden Award for Distinguished Service to the North Jersey Section, ACS, 2008; ACS Award for Volunteer Service to the American Chemical Society, 2004; Harvey Russell Award for Supporting High School Chemistry Teachers, North Jersey Section, ACS, 2001; ACS Award for Encouraging Women into Careers in the Chemical Sciences sponsored by The Camille and Henry Dreyfus Foundation, Incorporated, 2000; Shirley B. Radding Award, Santa Clara Valley Section, ACS, 1999; Purdue University, Department of Chemistry, Distinguished Alumnus Award, 2005; Sylvia Stoesser Lecturer at the University of Illinois, 2001; W. Lincoln Hawkins Award for Mentoring Excellence, Bell Labs, 2000; Lucent Technologies Gold Medal Team Award, 2000; Lucent Technologies Affirmative Action Award, 1999; Sigma Delta Epsilon, 1962. Professional Positions (for past ten years): Adjunct Professor, College of St. Elizabeth, Chemistry Department, 2008-09: Visiting Professor, Seton Hall University, Chemistry and Biochemistry Department, 2001-06, Women’s Study Program, 2001-06; Lucent Technologies (AT&T Bell Labs), Staff Member, 1967-01. Service in ACS National Offices: Board of Directors, Director-at-Large, 2007-12; Councilor, ex officio, 2007-12; Committee on Professional and Member Relations, 2010-12; Committee on Grants and Awards, 2007-12, Program Review Advisory Group, 2007-12; ACS-AWIS Working Group, 2009-12, co-chair, 2010-12; Committee on Public Affairs and Public Relations, 2007-10: Petroleum Research Foundation Steering Committee, 2007-08; Graduate Education Advisory Committee, 2007-11; Council Policy Committee, (Voting) 2006-08, (Nonvoting), 2004-05, 1996-2000, 1988-93; Committee on Nominations and Elections, 2000-05, Chair, 2004-05; Committee on Economic and Professional Affairs, Chair, 1999; Career Consultant, 1998-12; Committee on Committees, 1994-98, Chair, 1996-98; Committee on Local Section Activities, Chair, 1991-93; Committee on Meetings and Expositions, 1985-90, Chair, 1988-90, Committee Associate, 1984, Program Coordination Advisor, 1993-99, 1988-90; Committee on Economic Status, 1980-87, Chair, 1987; Professional Programs Planning and Coordinating Committee (PROPPACC), 1987; Committee on Professional Relations, Committee, Associate, 1977-79; Women Chemists Committee, 1973-78, Secretary, 1974-77; ACS Award for Team Innovation Canvassing Committee, 1994-95, Chair, 1994-95; Garvan Medal Canvassing Committee, 1973-78; Task Force on Implementation of Electronic Balloting, co-chair, 2005; Task Force on Technical Programming, 1998; Task Force on Industry Relations, 1995; Task Force on Continuing Education, 1992-93; Industrial-Academic Sabbatical Task Force, 1987. Service in ACS Offices: Member ACS since 1965. North Jersey Section: Councilor, 1975-08; Chair, 1992; Chair-Elect, 1991; National Chemistry Week, Chair, 1994-12; Project SEED, Treasurer, 2011-12; Career Coordinator, 1998-12; Professional Relations Committee, 1975-12, Chair, 1998-08; Project Wonder Science Task Force, 1998; General Interest Program Chair, 1993, 1986-89; Nominating Committee, 1997-11, 1994, 1989-92, 1985, 1983, 1980; Baekeland Award Committee, Chair, 1991; Education Committee, 1993-2010; Indicator Advisory Committee, 2009, 1982-86; Long Range Planning Committee, 1987-2011, Chair, 1987-88; Women Chemists Committee Co-Chair, 1977; Metrochem Steering Committee, Treasurer, 1982. Middle Atlantic Regional Meeting: Steering Committee, 2004-05, 1998-99. Division of Professional Relations: Treasurer, 1982-88. Member: ACS Division: Chemical Health and Safety. Related Activities: Co-Originator of SciMix and the Town Hall Meetings; Organized and Chaired Special ACS Symposia on High Temperature Superconductors and Cold Fusion; published 44 Papers; co-editor of two books and a textbook chapter; granted 21 U.S. patents.